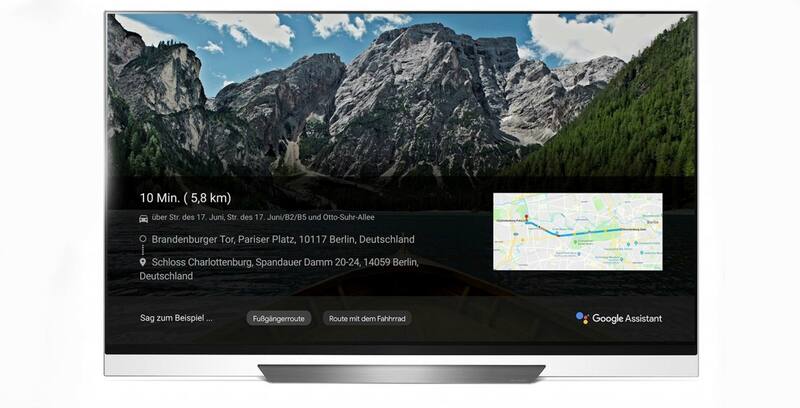 Owners of LG AI ThinQ-branded OLED TVs in Canada will be able to use Google Assistant with their televisions in Q4 2018, LG announced on Friday. The South Korean electronics giant first added Google Assistant to its WebOS-based TVs in the U.S. earlier this year. In the future, the company plans to expand compatibility to Alexa-enabled devices in Canada, as well. “The expansion is part of LG’s global strategy to raise the bar for voice recognition solutions enabled with LG’s ThinQ platform and the Google Assistant built in,” wrote LG in an August 24th, 2018 press release. Google Assistant on LG’s ThinQ TVs will allow users to adjust the volume, pause playback and change channels using the Mountain View search giant’s digital assistant. Using Assistant, users can also check the weather, make restaurant reservations, control any Assistant-enabled smart home devices and more. Some examples of AI ThinQ TVs that are available in Canada include the C8, E8 and B8 lineups. Correction 24/08/2018: An earlier version of this article mistakenly said Google Assistant is already available on LG ThinQ TVs. It will arrive on those TVs later this year. In the meantime, Canadian users can already connect their LG ThinQ TVs to their Google Assistant-enabled smart speakers.